Do you believe in the “overnight success” theory? And of course fairies, everyone believes in fairies. How many emails hit your inbox each day promising to make you an overnight success. Five, ten or more? And you only thing needed is for you to buy their latest book or subscribe to their latest writing course. Now don’t get me wrong, some are wonderful and legit. But none are gonna make me an overnight success. At best the good ones can only act as stepping-stones to success. How do I know? Because I’ve fell for a few. Now I don’t mean to rain on anybody’s parade because I guess it could happen. I mean people get struck by lightning every day somewhere in the world, I’m sure. Check with libraries, and writing groups for local events where you might promote your books. Take advantage of these and be patient. This one is hard for me. I’m an introvert and patience has never been a virtue I could brag about. I have to remind myself that no amount of frantic tweeting, posting, or hours spent on Facebook will blast my book into the stratosphere overnight. Even “going viral,” is here today and gone tomorrow, in our “now” internet age. So, I can’t count on one of my tweets, images or books “going viral” to do much for my success as an author. Of course, I do have some cute grandkids. Hmm…. Nope, overnight success is not gonna happen. Instead of repeating– I am smart, I am strong, I am pretty, I am brave. Building the perfect online brand takes time. Be patient. Writing a best seller takes time. Be patient. 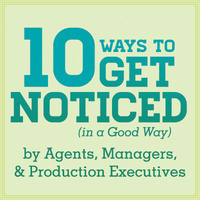 Getting the word out about your amazing talent takes time. Be patient. Previous Do you want to rise to the top? Next Do you worry about stealing someones writing? I spotted this on Sally Cronins mentioned in dispatches. I once was sent an e mail asking if I’d like to test and review free samples of face cream… dead sea face cream. Erase your ageing in a pot, free face cream. Well as you would, I signed up and received the jars. Husband then goofled and googled and poked. Small almost non existant print stated “your account will be charged £54 per item per month after six weeks, or until you return the origional unopened pots”! Yes the ones I excitedly opened that would turn back the time, iron out the creases of life and laughter. I am a new writer to these sites and writing is important to me as it has been a source of therapy. Any body help me discipline myself to sort out Manuscripts, Poems, Shorts stories and prose. Oh Lord not as much fun as writing. I cant stop writing but it is now getting overload……. Yeah it can be overwhelming. Thank you. Not me though, I want people to know when I put sweat equity into a project. Great post. It usualy takes ten or twenty years to ecome an overnight success in publishing. Only kidding, but your thoughts are correct. Thanks for sharing them. Hope it doesn’t take me that long. Same here. Best of luck. Overnight success is a myth that never goes away. So sad, but so true. What all writer’s need are the three P’s: Persistence, patience and perseverance. If you don’t expect an overnight success, then it will be easier to keep going, one review, one contact, one tweet at a time. Can I get those 3 P’s to go, right now?